Sakshi Juneja was recently interviewed on BBC Radio Five Live by Anita Anand for her views on the Big Brother Shilpa Shetty row. 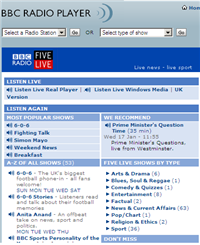 The radio programme is available as streaming audio [in Real Media or Windows Media] via the BBC Radio Player but there're no direct URLs to download the entire radio show as an MP3 file. So here's a simple trick that uses a free software called Audacity to download any streaming radio from the internet to your hard drive as a WAV or MP3 file. Step 2: Start Audacity and choose View -> Float Mixer Toolbar. In the drop-down menu on Audacity's mixer toolbar, choose "Wave Out" or "Stereo Mix" as the input source. Step 3: Open the BBC Radio Player [or any streaming music website], choose the radio station you want to listen (or record) and hit the Play button. Step 4. 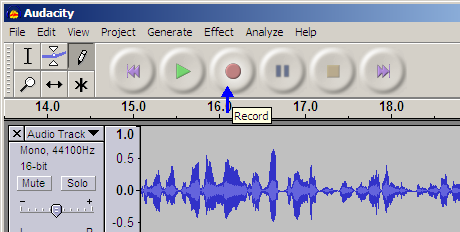 As the radio player starts to buffer audio content, switch to Audacity and hit the Record button (it's in red color). You'll see a moving waveform indicating that the recording is ON. When the radio show is over or you want to stop the recording, just hit the Stop button inside Audacity. Save the recording as a WAV file or get the Lame MP3 encoder to save the streaming radio as an MP3 file which you can even carry in the iPod or burn it to a CD. Update: If the streaming file URL uses rtsp:// instead of http://, you can even try using Flashget to download the audio / video file.